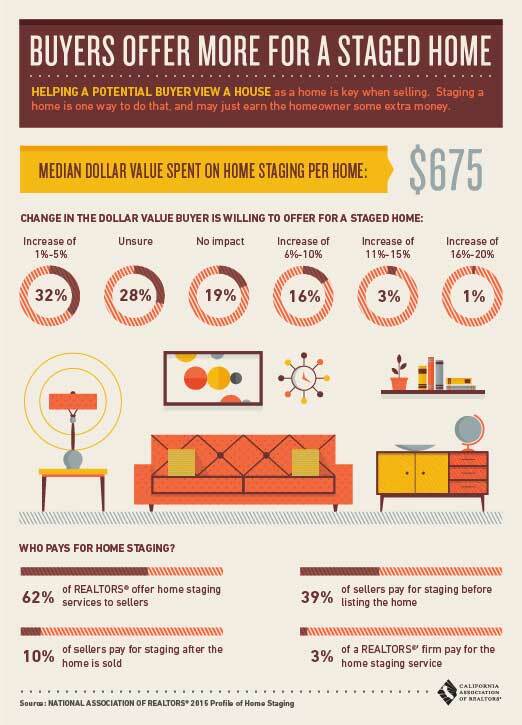 Can staging a home to sell command a higher price for the property? You betcha. Although it’s not addressed in this graphic, sellers also benefit by selling the property quicker, thereby lowering their carrying costs. This is especially true when there are similar homes competing for each buyer. This entry was posted on Thursday, March 26th, 2015 at 10:53 pm	and is filed under seller tips. You can follow any responses to this entry through the RSS 2.0 feed.